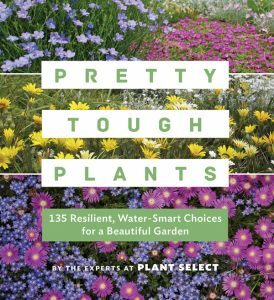 This book is a straightforward list of the top plant picks from the experts at Plant Select, a nonprofit cultivator and distributor of garden plants for the high plains and intermountain regions of the United States. Plant Select uses a rigorous and highly selective process to choose plants that will thrive with less—less care, less water, less fuss—while still providing beauty in a landscape that has a lighter impact on the environment. The regional focus for the book and the Plant Select program is the American steppes—the semi-arid plains and high country mainly from the Rockies westward. However, the information provided in these pages is not just for those regions alone. Most of the plants profiled will thrive in coastal and interior areas of the greater western United States. The descriptions of each selection provide enough information for anyone interested in growing these plants to be reasonably confident that they will succeed. The photography is beautiful, and most of the plants are shown growing in garden settings, sparking inspiration and design ideas. The book is divided into sections ranging from “petites” and ground covers to trees and conifers, giving the reader tools to design a resilient garden of their own. One of the more difficult challenges we face with design is winnowing down the choices when there are just so many plants to try. If you are a novice, or if you just can’t seem to resist impulse buys at the nursery, this book might be just the thing. Want to try growing a penstemon? There are eleven choices in this book out of the hundreds of varieties you could source. These penstemons are very specific cultivars or hybrids, and all have proven their merit in the Plant Selects growing program. The same is true of the eight selections of salvias. There is also one rose. Just when I thought I could resist the siren song of yet another new rose they had to profile ‘Ruby Voodoo’. I must have it. The last pages of the book contain a quick reference guide to the plants. It is categorized in the same fashion as the body of the book, with easy-to-read symbols for sunlight, soil, and water requirements to help gardeners combine plants into a useful design. The USDA zone map is used for hardiness—as with any guide based on USDA zones, an understanding of your local conditions will help you figure out which of these beautiful plants, shrubs, and trees will work in your garden.